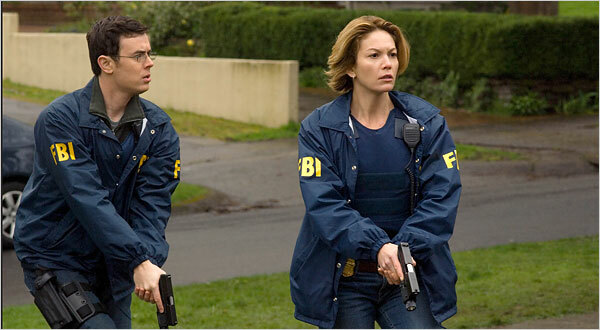 Review by Neo: Diane Lane single-handedly carried her latest internet crime thriller with both her shoulders. The film, one must admit have its moments and remains steady tension throughout, until the typical cliché Hollywood crappy ending kicks in. Playing safe, being conservative, “what’s work in the past will work again in the future” theory are all detriment to the reason why 80% of Hollywood films are so cliché. Sure, it is okay to run out of ideas and look for alternatives like re-making Asian films, but why routine a smart idea and turn it into nothing better than average. Luckily, as with these sorts of thrillers, the movie is usually saved by a strong female lead performance. In a role that is born for someone like Jodie Foster, Diane Lane fits the bill perfectly and her acting more than compensated for the routine script. Gore and torture seems be the “in” thing of Hollywood thriller nowadays, with the due success of the Saw and Hostel series, it seems as though if you want to make a thriller, make sure there is plenty of gore. Just take a look at the recent attempts at thrillers, the somewhat interesting 30 Days of Night and even Andrew Lau’s Hollywood debut in the recently reviewed, The Flock, all composed of gory moments. Credit must be given to the filmmakers behind the concept of combining internet and pure gruesome methods of killing someone. The premises is interesting and the fact that the kid is untraceable for a good 80 minutes, makes the suspense all the better. Then the crew went lazy or went out of ideas and the result is a rushed up ending that doesn’t do the film or Diane Lane any justice. Diane Lane is an interesting performer, although Neo do not have a long line of exposure to her works, from what he can recall, her performance as a seducing housewife in Unfaithful many years ago was a good one. Judging by this flick alone, Lane hits all the correct points and even attempted to pull off the impossible to make the ending somewhat believable. However, one person can only do so much to save a film and the problem leads in the casting of the villain. Joseph Cross cannot act and a better line to say is that his performance is neither compelling nor scary. His motivation is never truly defined in his facial expressions and his smile is just weird to watch.